Mark Andrew Kratz is a tenor and was recently featured as Edgardo in Lucia di Lammermoor (Pocket Opera) and Piangi in Phantom of the Opera (Santa Rosa Junior College), Lensky in Eugene Onegin (Pocket Opera), Alfred in Die Fledermaus (Lamplighters), Alfredo in La Traviata (Juneau Lyric Opera) and as astronaut Alan Shepard in Apollo 14: A Space Opera (International Opera Institute). 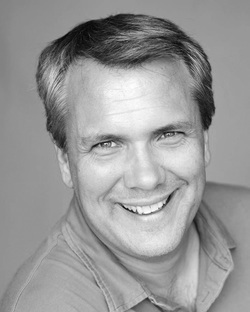 Kratz also took on the role of St. Nicolas in Britten's St. Nicolas Cantata (Chorale Society of Northeastern PA.) He also played Don Jose in Carmen (Cinnabar Theater) and was the 2012 tenor soloist for the Kennedy Center's National Messiah Sing-A-Long with the National Opera Orchestra. His roles include Don Ottavio in Don Giovanni (Cinnabar Theater, Pocket Opera), Flavio in Norma (Pocket Opera), The Beast in Beauty and the Beast (Capital Playhouse, Juneau Lyric Opera), Tamino in Die Zauberflöte (Tri-Cities Opera, Juneau Opera to Go! ), Yamadori in Madame Butterfly (Tri-Cities Opera), and Arturo in Lucia di Lammermoor (Tri-Cities Opera.) Kratz’s other performances include Mozart’s Requiem and Beethoven’s 9th Symphony (Northeastern Philharmonic). He is also the youngest person to have sung at the Newport Music Festival (RI). Kratz has also performed with the Santa Rosa Symphony Pops and the Santa Rosa Symphonic Chorus. He is a 2006 graduate of the Tri-Cities Opera young artist training program and a 2003 young artist for the Tacoma Opera. He holds a Master’s degree in Opera from Binghamton University and a Bachelor’s degree in vocal performance from the Eastman School of Music. Kratz was recently added as a professor of voice at the Santa Rosa Junior College where he teaches private voice instruction. He is also an Assistant Director for the YMCA/ASES After School Program at Thomas Page Academy in Cotati, CA, and is a faculty member at the Performing Art Institute of Wyoming Seminary (Kingston, PA), a prestigious summer institute for high school and college-aged musicians in Pennsylvania. Carol Menke is a lyric soprano who began her musical studies at the piano with her mother at age five, and at age eight started flute lessons. Her participation in a college voice class led to recognition of her superb vocal gifts. Following graduation from CSU Chico, her attendance at the Franz Schubert Institute in Baden bei Wien, Austria, confirmed her passion for the Art Song genre. The young singer was heard in performance many times at the Schuberthaus in Vienna during this period of study with Elly Ameling, Jörg Demus and Norman Shelter. She later completed her Master’s Degree in Vocal Performance. At Santa Rosa Junior College she teaches voice and music theory classes. She is the Artistic Director of the Santa Rosa Children’s Chorus, an organization that offers singing and music theory for three levels: Training, Intermediate & Concert. She directs Cantiamo Sonoma, a 20-member choral ensemble composed of talented amateur singers from throughout Sonoma County. She is Director of Music at the Episcopal Church of the Incarnation in Santa Rosa, and teaches at her private vocal studio. Ethan Smith is a bass-baritone and a Sonoma County native. He is a graduate of Analy High School. He holds a Bachelor's degree from San Francisco State University in vocal performance, a professional clear credential from Dominican University in Music Education and a Masters of Music degree in Choral Conducting from the University of New Mexico. He has sung with Pocket Opera of San Francisco, the Philharmonia Baroque Orchestra, Boise Baroque Orchestra, Music in the Mountains Festival in Durango, Colorado, the New Mexico Symphony Orchestra, the San Francisco Opera and the Santa Fe Opera among others. Mr. Smith lives in Los Angeles where he is Minister of Music at Resurrection Lutheran Church in Redondo Beach and sings with the Angeles Chorale and the Santa Clarita Master Chorale. He currently teaches vocal music for the Beverly Hills Unified School District. Sadie Sontag is a Mezzo-soprano who teaches band and choir at El Molino High School, Guerneville Elementary School, and Forestville Academy. She is the choir director at Unitarian Universalist Congregation of Santa Rosa, currently on sabbatical while she completes her teaching credential through Sonoma State University. She is a graduate of Santa Rosa Junior College and Sonoma State University where she received her Bachelor's Degree in Music Education. Sadie has performed several solos in larger ensemble works with the Symphonic Chorus at SSU, and is the recipient of numerous awards and scholarships. She has a strong connection with oratorio as an art form, and is currently the front person and co-composer for the Vespertine Orchestra.